Charge (In KJV) (1Ti 1:3, 18, 5:7, 16, 5:21, 6:13, 17). McClintock and Strong's Bible Encyclopedia Timothy, First Epistle To. A C Gaebelein writes "The epistle therefore contains practical and important instructions on the order which is to be maintained in the church, as the house of God… Pure doctrine, pure worship and a faithful ministry are the leading thoughts of this pastoral letter, but he also enters into the godly conduct of the individuals which are in the church of the living God. Blessed instructions!" John MacArthur - Interpretive Challenges in 1 Timothy There is disagreement over the identity of the false teachers (1:3) and the genealogies (1:4) involved in their teaching. What it means to be “delivered to Satan” (1:20) has also been a source of debate. The letter contains key passages in the debate over the extent of the atonement (2:4–6; 4:10). Paul’s teaching on the role of women (2:9–15) has generated much discussion, particularly his declaration that they are not to assume leadership roles in the church (2:11,12). How women can be saved by bearing children (2:15) has also confused many. Whether the fact that an elder must be “the husband of one wife” excludes divorced or unmarried men has been disputed, as well as whether Paul refers to deacons’ wives or deaconesses (3:11). Those who believe Christians can lose their salvation cite 4:1 as support for their view. There is a question about the identity of the widows in 5:3–16—are they needy women ministered to by the church, or an order of older women ministering to the church? Does “double honor” accorded to elders who rule well (5:17,18) refer to respect or money? These will all be dealt with in their respective notes. 101 page modern commentary. Conservative. Evangelical. Each section includes numerous excellent quotes (including "Quotes for Reflection"), devotional thoughts and questions. Ellicott: "didn't merely derive his commission from Christ, but belonged to Him." B. His Authentication = "according to the commandment"
Wiersbe: "This word means 'a royal commission.' Both Paul and Timothy were sent by the King of kings!" Campbell: "The word … is derived from two Greek words which literally mean to arrange upon or put an order upon. The noun form used here suggests that God was the one who had arranged, ordered, and mandated that Paul should be an apostle." Guthrie: "a man under orders"
1. "of God our Savior"
2. "and of Christ Jesus, who is our hope"
Kent: "As the Father is the fountain of our salvation, so Christ is the embodiment of our hope. We are looking for Him to return (Titus 2:13). In Him are all our expectations. Our basis for eternal life with all its glories lies in the fact of our union with Christ…"
Hendriksen: "'our Hope' -- the very foundation for our earnest yearning, our confident expectation, and our patient waiting for the manifestation of salvation in all its fulness." Campbell: "…'genuine', spiritually legitimate, and true child in the faith. This word speaks of one who is the opposite of being illegitimate, spurious, or a phony." Kent: "Mercy (eleos) is what Timothy and all believers need daily when conscious of failure." Towner: "At the outset, Paul thus reminds Timothy that God's unearnable love and peace will overshadow his servant even in the most difficult of circumstances." 1) Reflect on the loyalty that the original apostles had to their Master = the one who had called and commissioned them and sent them out on such a perilous mission. How deep and intense is our loyalty to Christ Jesus? 2) Do we have our Hope firmly fixed on the person of Christ and the expectation of His return? What tends to distract us from focusing on our hope or discourage us? 3) Do we know of any false teachers who are illegitimate pretenders to a family relationship with Christ (in contrast to the example of Timothy who is legit)? 4) Are we daily drawing upon God's resources of grace, mercy and peace which are intended for our benefit? Towner: "At the core of the false teaching Timothy faced was an out-of-balance view of salvation: the heretics proclaimed that the End had come and the resurrection had occurred… and the return of Christ was all but forgotten. Here at the outset Paul begins to assert his balanced theology: this is the age of salvation, but salvation's completion awaits the Second Coming of Christ, our hope." Campbell: "Timothy was a genuine child in the sphere of the faith, in the sphere of that which was believed, or in the sphere of a given body of truth and doctrine. In other words, Timothy was a genuine child in holding fast to the truth which Paul had committed unto him (cf. 6:20; 2 Tim. 2:2), which is synonymous with the message and Gospel of the Mystery (cf. Eph. 3:8-9; Rom. 16:25)." Kent: "Timothy's task in Ephesus was the most difficult he had ever faced. He needed all the gifts of God's grace. A tradition, recorded by Eusebius, says that Timothy was later beaten to death by a mob in Ephesus because of his arraignment of the idolatrous immorality of the worship of Diana." Hiebert: "This assertion, in the very salutation, of the writer's apostolic authority is indicative of the contents of the letter. It is not simply a note of personal friendship. It is addressed to Timothy as the apostle's personal representative at Ephesus. While addressed to him personally, the letter has an official character. It is intended to certify to the churches with whom Timothy is dealing that the instructions it contains are authoritative and that Timothy is authorized to act as the delegate of Paul himself." I Timothy 1 Church Conduct! I Timothy 2 “The Worship, Will, & Women of God! I Timothy 3 Church Leadership! I Timothy 4 Practice & Progress! I Timothy 6:11-21 Flee, Follow, Fight, & Fasten! Hint: Do a "control + find" when you open a "hit" and search 1Ti as well as the full name. Sample Illustration on 1 Timothy 4:5 - A mom had invited some people to dinner. At the table, she turned to her six-year-old daughter and said, “Would you like to say the blessing?” I wouldn’t know what to say,” she replied. “Just say what you hear Mommy say,” the mom said. The daughter bowed her head and said: “Dear Lord, why on earth did I invite all these people to dinner? Sample Illustration on 1 Timothy 4:15 - In Hampton Court near London, there is a grapevine under glass; it is about 1,000 years old and has but one root which is at least two feet thick. Some of the branches are 200 feet long. Because of skillful cutting and pruning, the vine produces several tons of grapes each year. It may be old, but it still grows and still bears fruit. Sample Illustration on 1 Timothy 5:1-16 -When a butterfly or moth is struggling to get out of its chrysalis, it’s important that it’s allowed to struggle. If your child is doing a science project and watching the chrysalis, it’s important that you don’t try to help the creature out by cutting the cocoon, thinking you’d make it easier for the butterfly. The butterfly needs to squeeze out the fluid that’s inside of the wings, and if it doesn’t have the tiny hold in the cocoon to squeeze it out of, it won’t be able to fly. Parents face the same issue when it comes to raising their kids. Your kids need to learn to know the pain of falling down every once in a while. They need to know the pain of failure if they are going to learn to push through and grow. Sometimes our helping others isn’t really helping at all. Sometimes we are enabling others to end up getting themselves into trouble. 1 Timothy - What Do We Know About Timothy? 1 Timothy 3:1 Who's in Charge of the Church? 1 Timothy 3:2-7 What Does an Elder Look Like? 1 Timothy 3:14-16 Why Is The Church Important? 1 Timothy 3:8 Why We Need Deacons and What Kind of Deacon do We Need? Rosscup - Though brief, Ellicott is outstanding in the Greek and very helpful. Rosscup - The author is lucid in his statements and has written a fair commentary based upon the Greek. Among older works it is not as helpful as Bernard (see above). Newport J D White, D. D.
John Cereghin - What a good translation, full defense of the apostolic authorship of the epistles, fruitful comments and profitable dissertations, this volume is as complete a guide to the smaller epistles as one could desire. his old, standard treatment shows how pastors may use the Greek text to aid their exposition. A fine work in spite of its age. Cyril Barber - A particularly appropriate reprint in light of the fact that so many men are leaving the ministry on account of its unusual pressures. Fairbairn provides a delightful example of exegesis aiding the exposition of the text. Audio & Transcripts from a former Dallas Theological professor. Conservative. Solid. 1 Timothy 1:8-11 Should We Preach the Mosaic Law? Liddon structures the text and intersperses his comments between the structured lines. Interesting but somewhat difficult to follow. There is also a considerable amount of Greek so a working knowledge of Greek would be necessary to derive the most value from this work. James Rosscup - One of the world’s most widely-known pastors gives articulate and rather detailed, basic expositions of verses with arresting illustrations. He deals with word meaning, flow of context, background, and sometimes mentions other views. The works are especially profitable for pastors, students, and lay readers aroused to read about main expositional issues and to grow. CYRIL BARBER - from "The Minister's Library - Volume 2" and "The Minister's Library - Volume 3"
*Bernard, John Henry. The Pastoral Epistles. Grand Rapids: Baker Book House, 1980. First published in the Cambridge Greek Testament series in 1899, this exegetical study is preceded by a lengthy introduction. A critical edition of the Greek text follows and then a word-byword or phrase-by-phrase exposition of the text. Excellent. Caird, George Bradford. Paul's Letters from Prison. New Clarendon Bible. London: Oxford University Press, 1976. One of the better works in this series. Of value for its exegetical insights. *Clark, Gordon Haddon. The Pastoral Epistles. Jefferson, Md. : Trinity Foundation, 1983. Uses these epistles to address some of the complex problems facing the church today. Provides an informative exposition, and deftly applies the truth of what Paul taught to the needs of believers. Favors the Reformed tradition. Dibelius, Martin, and Hans Conzelmann. The Pastoral Epistles. Translated by P Buttolph and A. Yarbro. Edited by H. Koester. Philadelphia: Fortress Press, 1972. A commentary built on the premise that these epistles are unauthentic and that a form-critical approach is indispensable to exegesis and a proper understanding of their meaning. The handling of the text is thorough and exacting. The work, however, does not give evidence of having any of those features that a pastor will find helpful as he prepares his messages. Fairbaim, Patrick. The Pastoral Epistles. Minneapolis: Klock & Klock Christian Publishers, 1980. A particularly appropriate reprint in light of the fact that so many men are leaving the ministry on account of its unusual pressures. Fairbairn provides a delightful example of exegesis aiding the exposition of the text. Fee, Gordon D. First and Second Timothy, Titus. Revised ed. New International Commentary on the New Testament. Peabody, ME: Hendricksen Publishers, 1988. Based on the NIV, this verse-by-verse commentary succeeds in highlighting the most important elements of these epistles. Conservative and non-technical. Ideal for lay Bible study. Fernando, Ajith. Leadership Lifestyle: A Study of 1 Timothy. Wheaton, Ill.: Tyndale House Publishers, 1985. Drawing heavily on other authors for his information on leadership, Fernando deals solely with the English text of 1 Timothy. The result is a work of interest but one that lacks depth and fails to provide the reader with anything of lasting significance. *Gromacki, Robert Glenn. Stand True to the Charge: An Exposition of I Timothy. Grand Rapids: Baker Book House, 1982. A fine treatment of Paul's message to a young pastor. Describes the essence of the ministry with guidelines for the establishment of local churches. Guthrie, Donald. The Pastoral Epistles: An Introduction and Commentary. Revised ed. Tyndale New Testament Commentaries. Grand Rapids: Wm. B. Eerdmans Publishing Co., 1990. First published in 1957, this excellent lay-level commentary has already proven its worth many times over. Now in its revised format it will continue to enrich the lives of those who read it. Recommended. Hanson, Anthony Tyrell. The Pastoral Epistles. New Century Bible Commentary. Grand Rapids: Wm. B. Eerdmans Publishing Co., 1982. This totally new work is not to be confused with Hanson's Studies in the Pastoral Epistles (1968). His comments are incisive and worthy of serious consideration. Houlden, J. L. The Pastoral Epistles: 1 and 2 Timothy, Titus. Penguin New Testament Commentaries. London: Penguin Books, 1975. (Exceedingly brief. This well-written but biased interpretation attempts to establish a nonPauline authorship for these letters. Its redeeming feature lies in its exegetical insights. In other matters, however, it is unreliable. Hughes, R. Kent, and Bryan Chapell. 1 & 2 Timothy and Titus. Wheaton, IL: Crossway, 2000. The authors include personal anecdotes in these commentaries, and this gives their work a downto-earth quality. They adhere to the text and are not afraid to champion interpretations (e.g., of 1 Timothy 2:11-12) that are unpopular in today’s milieu. Anyone teaching or preaching on these “pastoral” epistles will find considerable help in these pages. Johnson, Luke Timothy. First Timothy, Second Timothy, Titus. Knox Preaching Guides. Atlanta: John Knox Press, 1987. Begins with the reasons for the neglect of the Pastorals, but ignores the effect those who have denied their Pauline authorship has had on others. Provides new ideas on the values inherent in these canonical works. *Kent, Homer Austin, Jr. The Pastoral Epistles: Studies in 1 and 2 Timothy and Titus. Rev ed. Chicago: Moody Press, 1982. This exemplary study has stood the test of time. Now, in this new, revised edition, Kent's commentary should continue to enjoy wide-spread acceptance. Lea, Thomas D., and Hayne P. Griffin, Jr. 1, 2 Timothy, Titus. New American Commentary. Nashville: Broadman Press, 1992. Written in a readable style, this volume aims at explaining the doctrinal teaching of each letter. The introductions are helpful and defend Paul’s authorship. Outlines and summaries will be welcomed by pastors. *Liddon, Henry Parry. Explanatory Analysis of St. Paul's First Epistle to Timothy. Minneapolis: Klock & Klock Christian Publishers, 1978. This "first century message to twentieth century pastors" is a work of rare merit, and we welcome its reappearance. MacArthur, John F., Jr. First Timothy. MacArthur New Testament Commentary. Chicago: Moody Press, 1995. This, the first of MacArthur’s commentaries on the Pastoral Epistles, makes available to readers a wealth of information about the local church, its organization and outreach. The author is conservative in his handling of the Biblical text, adheres to the Pauline authorship, and dates 1 Timothy about A.D. 63-64. Recommended. Marshall, I. Howard. The Pastoral Epistles. International Critical Commentary. Edinburgh: Clark, 1999. As always Marshall provides an excellent discussion of these letters, though he hedges the issue of Paul’s authorship. The treatment of Greek words and syntax places this work among the best ever written on these canonical books. Marshall brings together a vast amount of material, and preachers will find his discussion of different topics helpful. Mounce, William D. Pastoral Epistles. Word Biblical Commentary. Nashville: Nelson, 2000. Defends the Pauline authorship, but adopts a vacillating approach to passages dealing with gender roles. Some disturbing elements are to be noted in Mounce’s presentation, for example his statement that “there is no salvation apart from discipleship” (p. 434). This is a very full work and the judicious reader has much to gain from it. Oden, Thomas C. First and Second Timothy. Interpretation, a Biblical Commentary for Teaching and Preaching. Louisville, KY: John Knox Press, 1989. 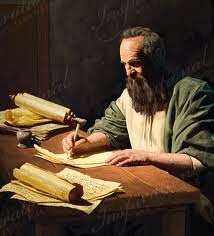 Defends the Pauline authorship as well as two Roman imprisonments for the apostle Paul. Provides the kind of comments on the text that preachers will find most helpful. Ramsay, William Mitchell. Historical Commentary on the Pastoral Epistles. Edited by Mark Wilson. Grand Rapids: Kregel Publications, 1996. First published in The Expositor, 1909-1911. F. F. Bruce wrote of Ramsay’s studies: “My debt to the writings of Sir William Ramsay [is great]. I am repeatedly amazed by scholars of a later date who seem unaware of the contributions of particular value which he made to certain areas of New Testament study.” Crammed with valuable insights into the culture and geography of the first century A.D., this is a volume that pastors should turn to repeatedly. *Rowland, Alfred. Studies in First Timothy. Minneapolis: Klock & Klock Christian Publishers, 1985. "We may say it is a work of no ordinary value, and Christians will find it a rich feast. It is needless, of course, to say that [this study] is a work of a scholar; it is also the work of a wholehearted believer and its design was intended for the use of all who love the Lord in simplicity and truth" (The English Churchman). Stott, John Robert Walmsey. Guard the Truth: The Message of 1 Timothy and Titus. Downers Grove, IL: InterVarsity, 1996. Stott contends that the “true apostolic succession is a continuity not of order but of doctrine, namely the teaching of the apostles handed on from generation to generation.” In this companion volume to Guard the Gospel Stott places before his readers the fruit of his study of the NT and diligent labor. Each section is well outlined with numerous summaries in the paragraphs. Highly recommended. Baugh, Steven M. "'Savior of All People': 1 Tim 4:10 in Context," Westminter Theological Journal 54 (1992) 331-340. Campbell, Barth. "Rhetorical Design in 1 Timothy 4," Bibliotheca Sacra 154 (1997) 189-204. Gruenler, Royce G. “The Mission-Lifestyle Setting of 1 Tim 2:8-15,” Journal of the Evangelical Theological Society 41.2 (June 1998) 215-238. Rosscup - Getz has authored several books on character studies and life-style principles in biblical books. Here again he has much practical helpfulness as he points out traits that believers today can emulate in the enabling of the Spirit. The book is simple, well-organized, and contributive for a leader or any Christian in a devotional series day by day. 1 Timothy 1:20 - Who were Hymenaeus and Alexander, and what does it mean that their faith was shipwrecked? 1 Timothy 2:9 - Why does the Bible speak against braided hair? 1 Timothy 2:12 - Women pastors / preachers? What does the Bible say about women in ministry? 1 Timothy 2:15 - What does it mean that women will be "saved" through childbearing? 1 Timothy 3 - What are the qualifications of elders and deacons? 1 Timothy 3 - Can an unmarried man be a deacon or elder? 1 Timothy 3 - Can women serve as deacons in the church? 1 Timothy 3:2 What does it mean to be above reproach / blameless? 1 Timothy 3:2 What does the "husband of one wife" phrase in 1 Timothy 3:2 mean? 1 Timothy 3:15 - What does 1 Ti 3:15 mean when it says that the church is the pillar and foundation of the truth? 1 Timothy 3:9 - What is the mystery of faith? 1 Timothy 6:6 - What does it mean that godliness with contentment is great gain? 1 Timothy 6:10 - Why is the love of money the root of all kinds of evil? 1Ti 1:15-16 The designation of certain sayings as trustworthy is a particular distinctive of 1 Timothy, 2 Timothy, and Titus. Paul used this designation for emphasis. The apostle's earlier statements may sound as if his salvation was due to his own faithfulness or his ignorance, but these two verses make it clear that Paul marveled at his conversion since he knew himself to be so bad. He was an example of what true instruction was supposed to accomplish. He was the sort of person for whom the law was intended (1Tim 1:9-10). The result of the gospel in his life was not idle speculation but transformation. 1Ti 1:18 The point here is that God had spoken through others to set Timothy aside for the task of ministry. The purpose of this assurance of divine call was to strengthen Timothy for the work (see note at 4:14). 1Ti 1:19 The phrase shipwreck of their faith is strong language. It refers to someone who once professed faith but has now destroyed it, showing they were never truly converted. 1Ti 1:20 Delivered... to Satan is a typical way of referring to excommunication, or being put out of the church (1Co 5:5). This language highlights the importance and protection of church membership since being put out of the fellowship makes a person more vulnerable to Satan. 1 Timothy 2:5 Arianism - What Is Jesus? 1 Timothy 4:1-8 Get It Right! RAYMOND SAXE - Fellowship Bible Church. Brief transcripts type written. JOHN SCHULTZ - 47 pages. Former missionary. D Edmond Hiebert - Greek text. Lock leans to the conservative view but makes no pronouncements on the vexing critical problems. The notes on the Greek text are rather thin. Not up to the high standard of this series. D Edmond Hiebert - Greek text. A full exegetical treatment of these epistles by an evangelical German scholar of the past century. Scholarly and technical, providing references to scholarly views of the authors own times. 1 Timothy 1:11 The very best things — for the very worst of men! 1 Timothy 1:12-17 The Pattern for Sinners Saved. 1 Timothy 1:13 When you were marching to hell! 1 Timothy 1:15 - Why Not Me? 1 Timothy 1:15 - Why Are There So Many Hypocrites? 1 Timothy 2:8-15 Adam's Rib or Women's Lib? 1 Timothy 2:2 What Happened to Discipleship in the Epistles? The salvation of man is an embodiment of God Himself. The essence, the heart, the mind, the attributes, the character, the government of God, are all embarked, embodied, and exhibited in the salvation of man. It is a work so surpassingly stupendous, glorious, and divine, we can account for its vast and unique character, and its transcendent results, upon no other principle than its essential demonstration of Deity-"God manifest in the flesh." To mix, then, anything extraneous with this great and finished work, to add to it anything of human device, would seem a crime of deepest dye-a sin, the pardon of which might well extend beyond the provision of its mercy. God has, at every point, with a jealous regard for His own glory, exhibited and protected this great truth. Over the cross beneath which as a sinner I stand-inscribed upon the portal of the refuge into which as a sinner I flee-above the fountain within which as a sinner I bathe-upon every object on which as a sinner I believingly gaze, God has written one sentence-solemn, pregnant, and emphatic-"Jesus only!" Jesus alone could stoop to our low estate. He only could stand between justice and the criminal-the Day's-man between God and us. He only had divinity enough, and merit enough, and holiness enough, and strength enough, and love enough to undertake and perfect our redemption. None other could embark in the mighty enterprise of saving lost man but Him. To no other hand but His did the Father from eternity commit His church-His peculiar treasure. To Jesus only could be entrusted the recovery and the keeping of this cabinet of precious jewels-jewels lost and scattered, and hidden in the fall, yet predestinated to a rescue and a glory great and endless as God's own being. Jesus only could bear our sin, and sustain our curse, endure our penalty, cancel our debt, and reconcile us unto God. In His bosom only could the elements of our hell find a flame of love sufficient to extinguish them; and by His merit only could the glories of our heaven stand before our eye palpable and revealed. Jesus must wholly save, or the sinner must forever perish. Listen to the language of Peter, uttered when "filled with the Holy Spirit," and addressed with burning zeal to the Christ-rejecting Sanhedrin: "This is the stone which was set at nothing of you builders, which is become the head of the corner. Neither is there salvation in any other: for there is none other name under heaven given among men whereby we must be saved." Thus, in the great and momentous matter of our salvation, Jesus must be all. TERRI DARBY MOORE - adjunct professor in the New Testament department at Dallas Theological Seminary. 1 Timothy 3:11 You may smite another—and never touch him! 1 Timothy 4:12 A Louder Witness! 1 Timothy 4:12 Who can wonder? 1 Timothy 6:11-21 O Man of God! 1 Timothy 6:6 The secret of being content! 1 Timothy 6:6 We shall be sure to find something to annoy us! 1 Timothy 6:8 Can We Learn to Be Contented? 1 Timothy 6:11-16, 20-21 O Man of God! 1 Timothy 6:10 The Love of Money! 1 Timothy 6:12 Are You Fighting? 1 Timothy 6:6-11 A golden image in the house! 1 Timothy 6:18 Fuel For Hell! Excellent sermon Illustrations. Updated December, 2018. 1 Timothy 1:1-7,18-20 Stay On Course! 1 Timothy 1:18-19 Do You Hear A Whistle? 1 Timothy 2:1 God Can Save Anyone! 1 Timothy 2:1-2 Thankful For Government? 1 Timothy 2:1-8 God Can Save Anyone! 1 Timothy 2:5 Who's Going To Heaven? 1 Timothy 3:1-13 Do As I Do! 1 Timothy 4:14 Use Your Gift! 1 Timothy 5:22 Stay Out Of It! 1 Timothy 6:6-12 Almost Content? 1 Timothy 6:6-19 In God We Trust? 1 Timothy 6:11-16 What Are We Holding on to? 1 Timothy 6:12 Do The Hard Work! 1 Timothy 6:17.What Is Secure? 1 Timothy 2:8-15 Women's Lib or Adam's Rib? THIS is, practically, a promise that, by diligent meditation and the giving up of our whole mind to our work for the Lord, we shall make a progress which all can see. Not by hasty reading, but by deep meditation, we profit by the Word of God. Not by doing a great deal of work in a slovenly manner, but by giving our best thought to what we attempt, we shall get real profit. “In all labor there is profit,” but not in fuss and hurry without true heart energy. If we divide ourselves between God and mammon, or Christ and self, we shall make no progress. We must give ourselves wholly to holy things, or else we shall be poor traders in heavenly business; and at our stock-taking, no profit will be shown. Am I a minister? Let me be a minister wholly, and not spend my energies upon secondary concerns. What have I to do with party politics, or vain amusements? Am I a Christian? Let me make my service of Jesus my occupation, my lifework, my one pursuit. We must be in-and-in with Jesus, and then out-and-out for Jesus, or else we shall make neither progress nor profit, and neither the church nor the world will feel that forceful influence which the Lord would have us exercise. 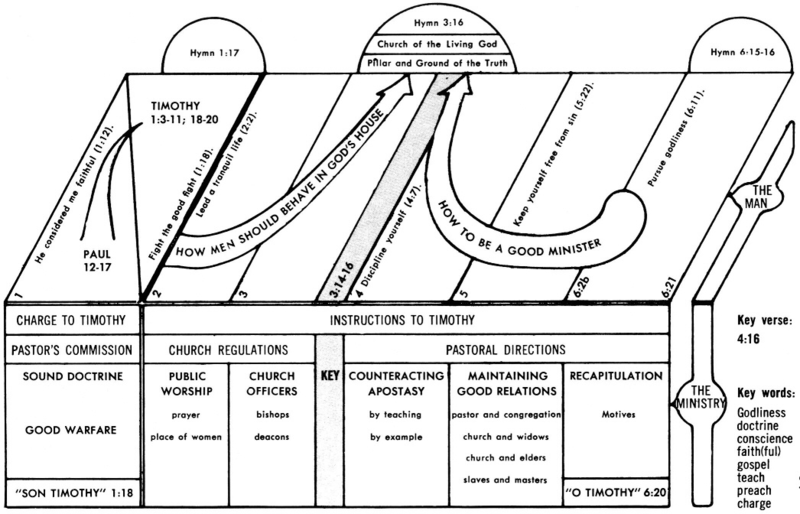 1 Timothy 3:1-7 Who may lead the church? Texas Corners Bible Church. Each transcript about 4-5 pages. Almost 200 pages total.